This title is now Out-of-Print. Arizona Hobbies has a few copies remaining. 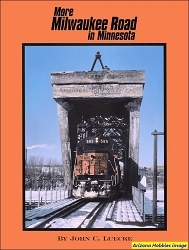 Revised edition of a classic Volume covering the development, equipment and operation of the Milwaukee Road's electrified zones across the Rockies and the Cascades. They conquered the mountains, but not the passage of time. fueled through copper wires instead of coal or oil. Much of the story is told through the railroaders who worked on them. Bibliography and Index, pp. 302-304. 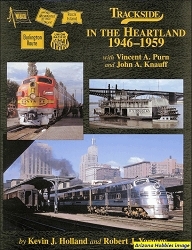 Hundman Publishing, hardcover with jacket, 304 pages, 8.5 x 11 x 1 in; 300 photographs (8 pages in color); maps; diagrams; roster.